This heather green tee is in great condition and couldn't be softer. 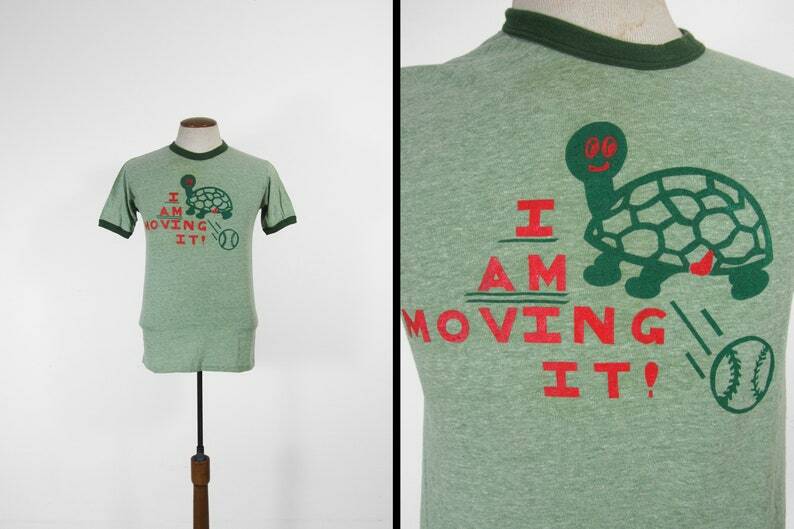 On the front is a DIY graphic of a turtle playing baseball and on the back is printed "Slugger". Made in USA by Hanes. Great condition except for a few light spots. This t-shirt fits roughly like a men's size small or women's medium but please compare the measurements below to your favorite t-shirt, laid flat, before purchasing.